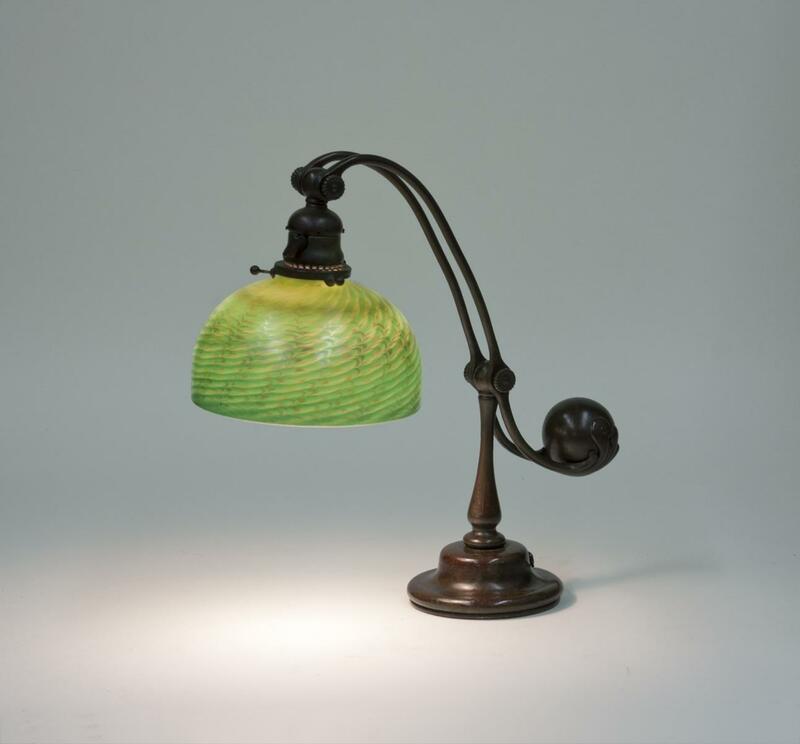 An original Tiffany Studios desk lamp, comprising a bronze Balance Weight Desk Base in rich brown patina, with a blown Tiffany favrile glass shade of slightly ribbed form in a saturated green tone with allover "Wave" decoration (sometimes called 'Damascene') in a silvery-blue iridescence. Both the shade and the base of this Tiffany lamp are signed. An original Tiffany Studios desk lamp, comprising a bronze "Balance Weight" Desk Base in rich brown patina, with a blown Tiffany favrile glass shade of slightly ribbed form in a saturated green tone with allover "Wave" decoration (sometimes called 'Damascene') in a silvery-blue iridescence. 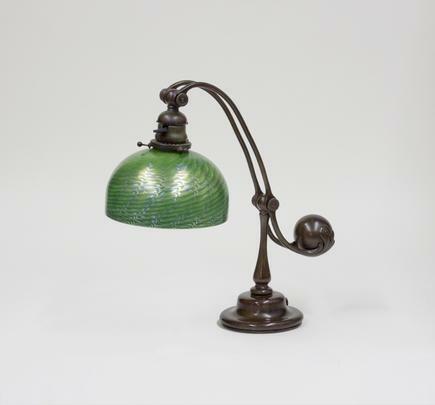 Both the shade and the base of this Tiffany lamp are signed.